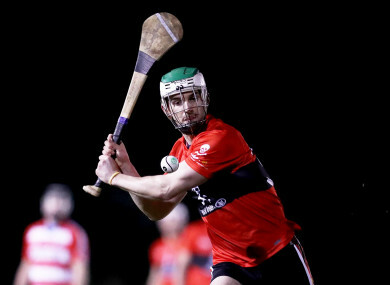 Shane Kingston scored five points for UCC. UCC MADE IT two wins from two in the Electric Ireland Fitzgibbon Cup as they eased clear of the challenge of UCD at the Mardyke on Wednesday afternoon to book their place in the quarter-finals. Leading by 0-11 to 0-6 at half-time, the home side, who won away to champions UL at the weekend, scored an unanswered 1-2 at the beginning of the second half, with the goal coming from Mark Kehoe, to put themselves in a commanding position which wouldn’t be threatened. Aside from his goal, Tipperary’s Kehoe scored four fine points in the second half for Tom Kingston’s side while Cork star Shane Kingston impressed with a four-point haul in the first half. Mark Coleman at midfield was on song throughout for the hosts and Chris O’Leary was imperious in the half-back line. UCC had established a 0-9 to 0-3 lead by the 17th minute but Ronan Hayes’ dead balls brought UCD back into the game and only a brilliant Shane Hurley save denied Seán Carey a goal. At the other end, Brian Hogan twice saved well, from efforts by Ross Donohoe and then Coleman just before the break, with O’Leary’s 65 leaving five in it at the break. Kingston and Shane Conway extended the UCC lead further before Kehoe struck for his goal — his Tipp colleague Hogan getting a touch on the shot, but not enough, and by the 46th minute Kehoe had made it 1-16 to 0-8. However, Hogan came up the field to drill home a UCD free and then followed that with a point while Clare’s David Fitzgerald was on target too and the lead was back to six points with seven minutes left. UCC weren’t shaken though and Kehoe (three), Coleman and Conor Browne had points as they made the game safe, sub Neil Montgomery getting a second goal at the death. Scorers for UCC: Mark Kehoe 1-4, Shane Kingston 0-5, Shane Conway 0-4 (0-3 frees), Mark Coleman 0-3, Neil Montgomery 1-0, Chris O’Leary (0-1 65), Conor Browne 0-2 each, David Griffin 0-1. Scorers for UCD: Ronan Hayes 0-6 (0-4 frees, 0-1 65), Brian Hogan 1-1 (frees), David Fitzgerald 0-2, Séamus Flanagan, Seán Carey, Mick Purcell, Rory Purcell 0-1 each. 35. Andrew Casey (Ballyduff Upper, Waterford) for Kehoe (59). 21. Rory Purcell (Thurles Sarsfields, Tipperary) for Malone (53, injured). Email “Kehoe and Kingston on song as UCC ease clear of UCD to book Fitzgibbon quarter-final spot”. Feedback on “Kehoe and Kingston on song as UCC ease clear of UCD to book Fitzgibbon quarter-final spot”.